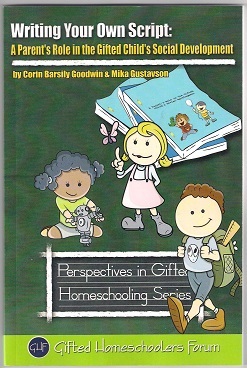 I was really pleased to receive a copy for review of the latest addition to the excellent Perspectives in Gifted Homeschooling Series. 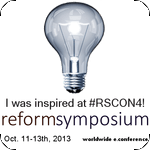 It is ‘Writing your Own Script: A parent’s Role in the Gifted Child’s Social Development’ by Corin Barsily Goodwin and Mika Gustavson. It is edited by Sarah J. Wilson and published in 2015 by GHF Press. 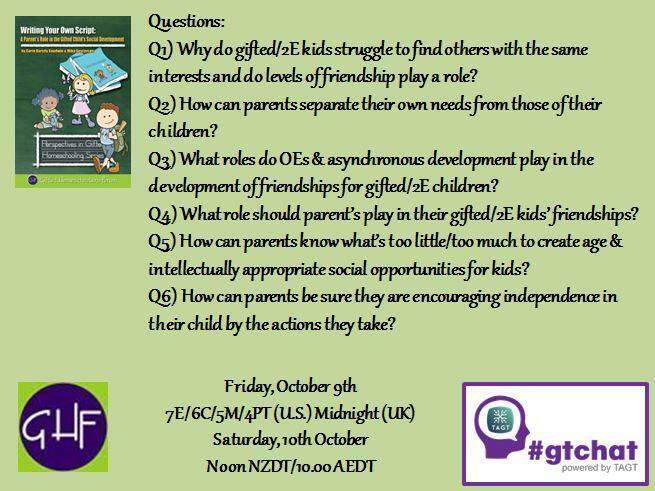 The timing of the arrival of the book was perfect as it arrived the day before the book was to be discussed during Twitter #gtchat. 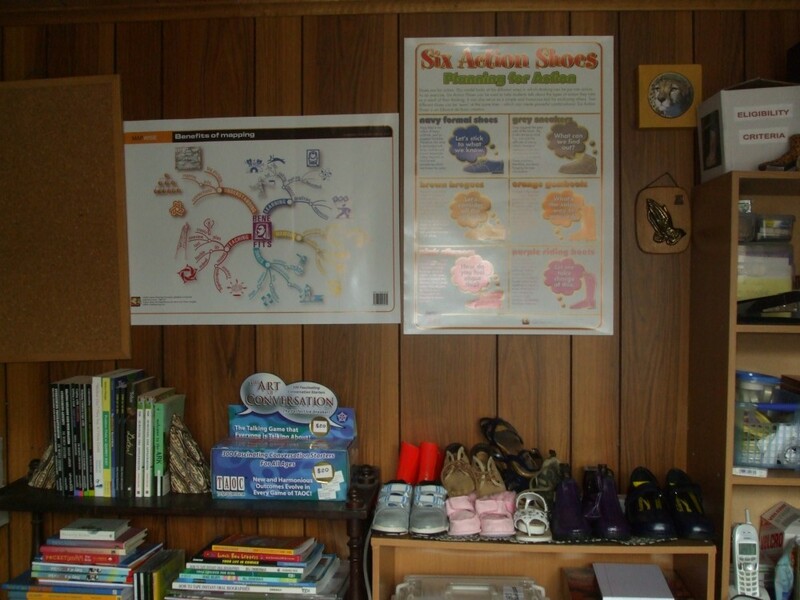 I found that it was packed with information but was still easy to read and understand and would be very helpful for parents. 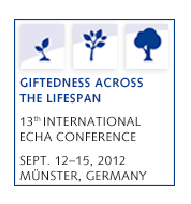 The first chapter describes aspects of giftedness that impact on building friendships such as Typical characteristics, Asynchronous development, Twice exceptionalities, Dabrowski’s Overexcitabilities, Introversion and Extraversion and Unusual interests. The second chapter discusses developmental stages and levels of friendship and the third chapter addresses how to find potential friends. Chapter four shows the role parents can take in helping their children to build and maintain friendships and chapters five and six talk about some of the situations that will possibly be encountered. 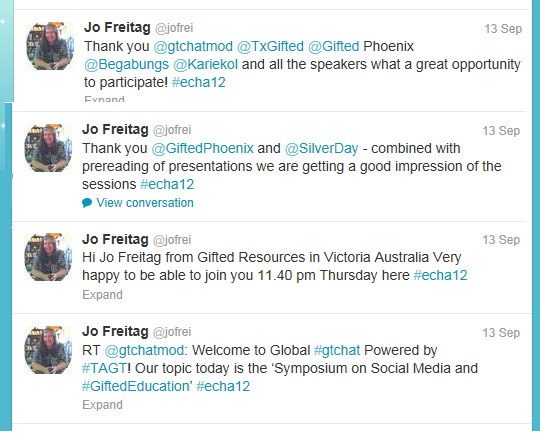 March was a very busy month and I am now playing catch up and blogging about the experiences. 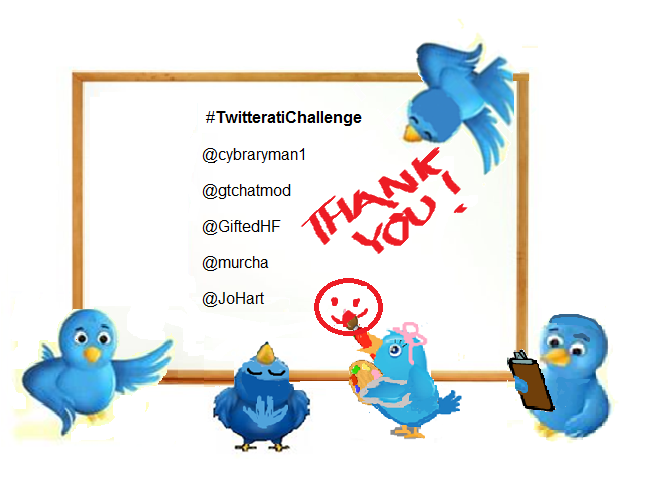 It was a great thrill to be invited to be the guest for #gtchat on Twitter on 1 March 2014. 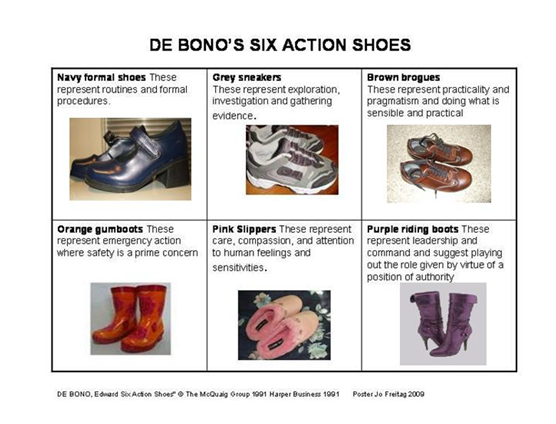 The topic was the use of De Bono’s Six Action Shoes as applied to planning gifted programs and in particular programs suitable for Twice-Exceptional children. I enjoyed the experience very much. 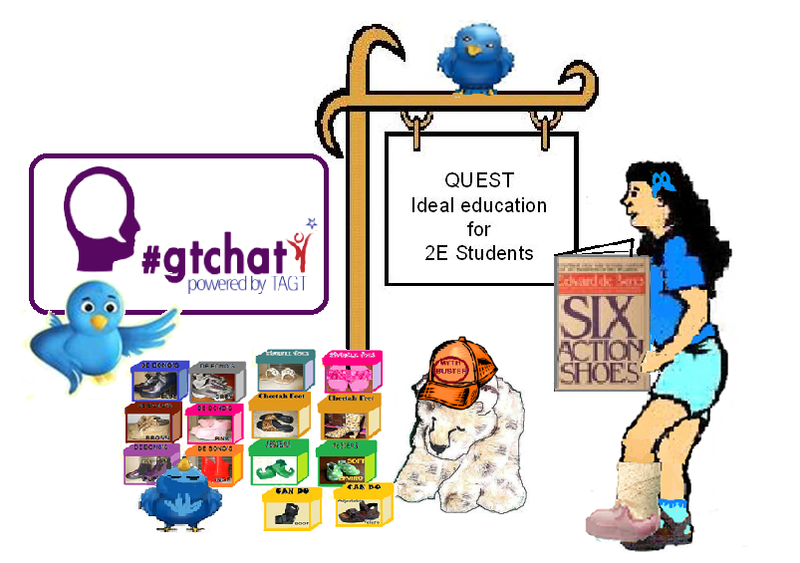 The moderator #gtchat, of Lisa Conrad, provided me with the questions in advance so that I could prepare my answers and have them ready to post during the session. 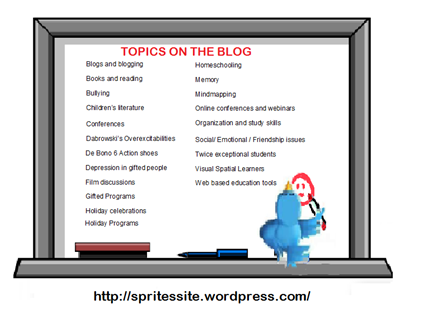 I also provided links which Lisa posted throughout the chat.